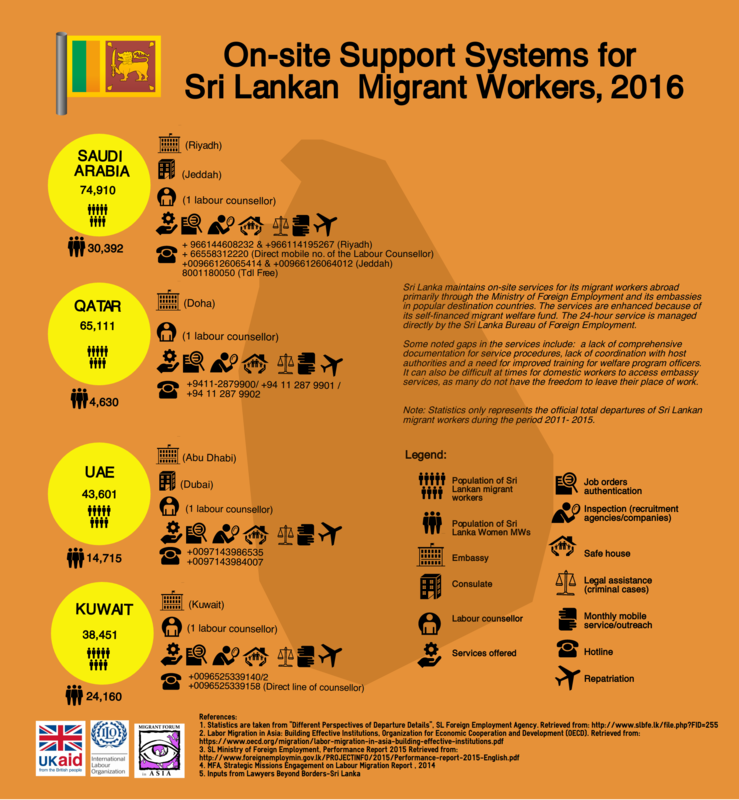 Sri Lanka maintains on-site services for its migrant workers abroad primarily through the Ministry of Foreign Employment and its embassies in popular destination countries. The services are enhanced because of its self-financed migrant welfare fund. The 24-hour service is managed directly by the Sri Lanka Bureau of Foreign Employment. 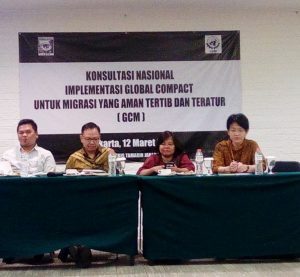 Some noted gaps in the services include: a lack of comprehensive documentation for service procedures, lack of coordination with host authorities and a need for improved training for welfare program officers. 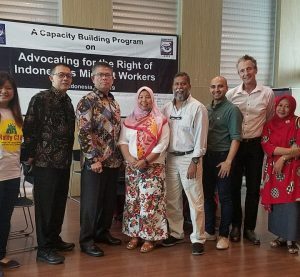 It can also be difficult at times for domestic workers to access embassy services, as many do not have the freedom to leave their place of work. Note: Statistics only represents the official total departures of Sri Lankan migrant workers during the period 2011- 2015.